Is the FHA Distressed Asset Stabilization Program Meeting Its Goals? In the summer of 2012, the Federal Housing Administration, or FHA, announced it was launching a new program to auction off pools of delinquent mortgages that had not yet gone through foreclosure but for which foreclosure was inevitable. Since September 2012, FHA has made available for auction nearly 100,000 loans. According to the Department of Housing and Urban Development’s, or HUD’s, new report on DASP outcomes, the program has helped reduce FHA’s loss rates from 63.5 percent in the first quarter of 2010 to 52.9 percent in the second quarter of 2014, although the report does not disaggregate the impact of a variety of FHA policy changes, including improvement of its loss-mitigation options for servicers. Additionally, bids on these auctions have risen from approximately 40 percent of the loans’ unpaid principal balances to an average closer to 60 percent. The report also suggests that homeowners have benefited from the program as well. Of the 50 percent of DASP loans that have reached resolution, 34 percent have avoided foreclosure, including the 11 percent of loans that are classified as “reperforming,” which means that homeowners are again paying their mortgages regularly. The outcome report contains no information on what enabled these mortgages to reperform, such as whether the homeowner obtained a permanent modification, a forbearance, or simply became reemployed. These numbers are significantly higher for the pools with specific neighborhood stabilization requirements, in which 58 percent have avoided foreclosure and 23.5 percent are reperforming. As DASP reaches its two-year anniversary, it is time to evaluate its performance and explore ways to strengthen it. FHA still insures more than half a million seriously delinquent loans, meaning there are still many loans potentially eligible for the program. Moreover, the program serves as a critical model for the Federal Housing Finance Agency as Fannie Mae and Freddie Mac begin to sell nonperforming loans. Indeed, Freddie Mac auctioned its first pool of nonperforming loans this past August, so this possibility is now more than theoretical. Between them, Fannie Mae and Freddie Mac still hold close to 700,000 seriously delinquent loans. This report provides an overview of DASP, including information on how it facilitates loan sales, who buys loans through it, and the information FHA has released concerning the outcomes of the purchased loans. The report then offers recommendations to enable DASP to better serve homeowners and neighborhoods while continuing to strengthen the FHA insurance fund. 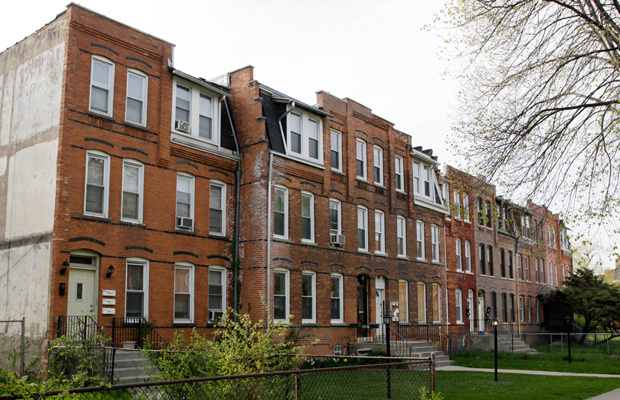 Specifically, it recommends several programmatic changes that FHA could make to ensure that DASP buyers manage the loans they purchase in a way that most effectively stabilizes surrounding neighborhoods. For example, the pools with community stabilization requirements appear to be significantly more advantageous for homeowners and communities and sell at comparable prices to pools with fewer requirements. Right now, however, the program only places such requirements on about 10 percent of the loans it sells. With investor demand for nonperforming loans growing, FHA is well-positioned to ask more of buyers while continuing to protect taxpayers. Sarah Edelman is a Policy Analyst on the Housing Finance and Policy team at the Center for American Progress. Julia Gordon is the Director of Housing Finance and Policy at the Center. Aashna Desai was a summer intern with the Housing Finance and Policy team at the Center.